We have a vast experience in developing user-friendly software solutions for Windows and Mac platforms. We strive to create truly easy to use software, targeted at specific core audience and designed for business purposes. Careful planning and well thought out software architecture allow reducing the development costs, providing high investment returns. If you are looking for a knowledgeable team of IT specialists to develop desktop software, Lvivity will handle your project with reliable care. We strive to provide our customers with maximum advantages at each stage of their project implementation, be it the entire development cycle or just some stand-alone stages. Our team had been developing many Windows applications which were designed to solve a variety of tasks in multiple business areas. Be it Microsoft Windows 7, 8, 8.1, 10.x, WinRT, windows embedded, Windows Presentation Foundation, we can offer you effective solutions for all current system versions. Millions of people use Windows to work and entertain themselves, and we will help you create impressive apps for this platform. It can be quite a daunting task to develop software for Mac as it is a closed platform with its own peculiarities and specific operating principles. Providing development services for Mac OS for many years, our experts have gained extensive experience in creating applications for this platform. Be it architecture, user interface, integration with web services or multi-platform solutions, we are ready to take on the entire implementation process, starting from an idea and finishing with a final product. Using cross-platform solutions, the product enterprise integration allows elevating company’s business processes to higher efficiency standards. We are able to integrate several technologies into a single solution and develop a system which fully meets our customer’s needs. Based on your business peculiarities, we are ready to provide help in choosing management, monitoring, or reporting methods which will be maximally efficient for your company. Our experts’ experience is a result of dozens of successful projects. Over multiple years, our team has been working to solve specific tasks, helping our customers achieve their goals. Based on our customers’ wishes and financial means, we create an individual offer most relevant for the particular customer. This ensures high investment returns. Technologies always keep advancing, and this fact must be kept in mind when developing software. That is why Lvivity creates flexible software architecture, taking into account the load growth in the future and scaling potential. 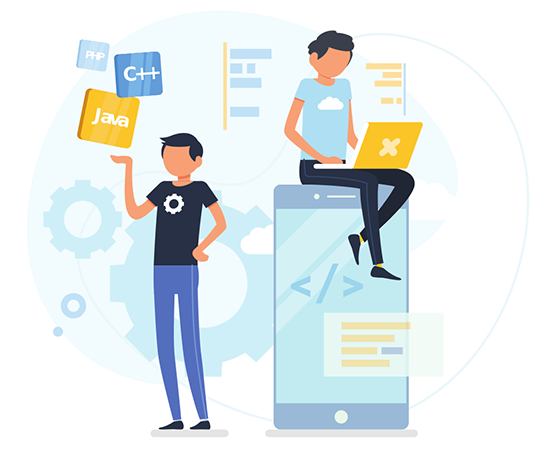 We use flexible work patterns which allow adapting to changes in development terms and customer needs without losing the possibility to create a good product. The business level doesn’t really matter, flexibility is equally important for everyone. Lvivity works fast to provide our customers with tailored solutions which will ensure full advantage of new market opportunities for them. To increase your business profitability, it is necessary to keep up with the times and implement IT technology.